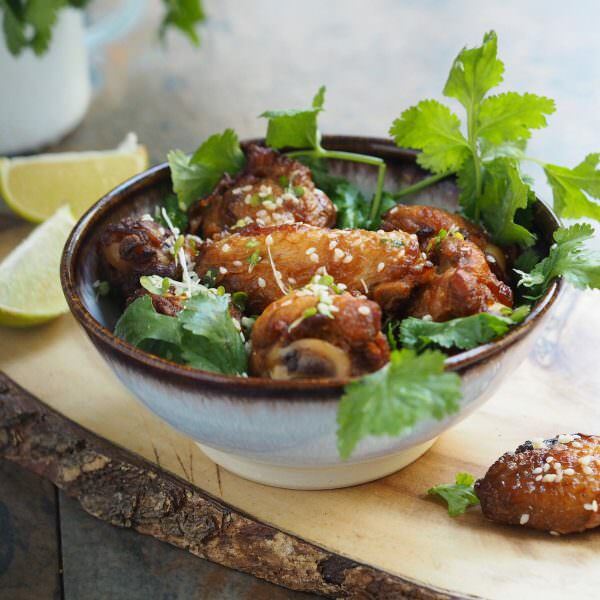 Try our Sticky Chicken Wings recipe; perfect for prep, dinner or simply entertaining! Put the chicken wings in a large roasting tin. Mix the honey, soy and 1/2 tablespoons of sesame seeds in a bowl, then pour over the wings. Use your hands to mix and ensure all the wings are coated, then roast for 20 mins until cooked through, sticky and golden. When the wings are cooked, scatter over the remaining sesame seeds and the chilli.